The North American Technician Excellence (NATE) certification is the gold standard for technicians. 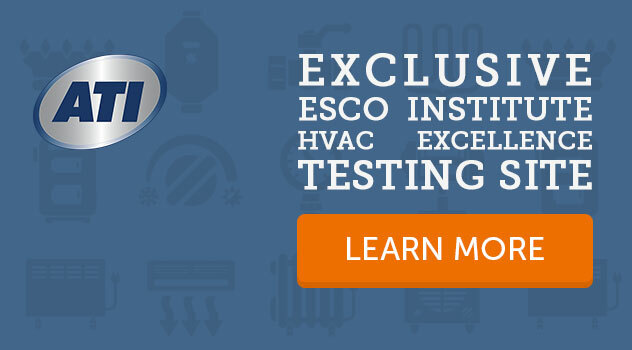 This is a nationally recognized and respected certification that, while not legally required, is highly recommended for any technician working in the heating, ventilation, air conditioning, and refrigeration (HVAC/R) industry. To obtain this certification, a technician must pass a knowledge-based exam developed and administered by industry experts that illustrates they are better prepared for the workforce and more adept at handling difficult scenarios. Technicians with NATE certification earn more money, typically stay in the industry longer, and have a greater rapport with clients. The HVAC Excellence certifications are other prominent industry certifications that are lean more on promoting experience than book smarts. The two more prestigious of these certifications are known as the ‘Professional Level’ and the ‘Master Specialist Level’. To earn the Professional Level in HVAC Excellence Certification, a technician must prove that they have a minimum of two years of field experience as well as score well in a comprehensive exam highlighting specialty HVAC/R topics such as residential heat pump and ventilation services. To go one step further and earn the Master Specialist Level in HVAC Excellence Certification, a technician must prove a minimum of three years of field experience in addition to having already obtained the Professional Level Certification. Type I Certification. Specific for the installation and repair of small appliances such as window air conditioners, domestic refrigerators, and vending machines. Type II Certification. Specific for the installation, repair, and disposal of equipment and appliances containing high pressure refrigerant such as heat pumps, residential air conditioners, process refrigeration, and commercial refrigeration. Type III Certification. Specific for the installation, repair, and disposal of equipment and appliances containing low pressure refrigerant common in more complex industrial equipment. Universal Certification. 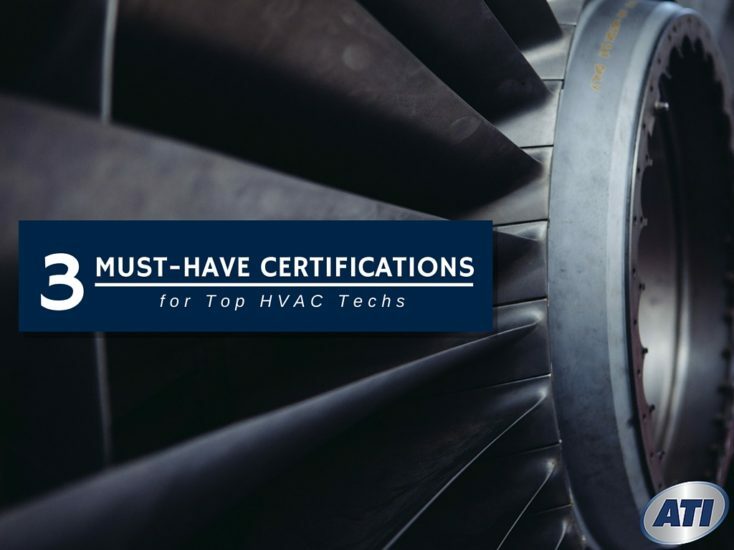 This fourth type of certification denotes a technician’s ability to install, repair, and depose of all types of equipment no matter the refrigerant type. A state license provides proof to both an employer and a client that a technician has been professionally trained and is qualified according to state board requirements. If you are trained in one state, but move to another, it’s important to contact your new state’s professional licensing department to learn about the specific requirements for a license and how to proceed. Getting the best certifications and a state license affords you more privileges and greater opportunities, such as the promotion to supervisory or managerial positions. In ATI’s HVAC tech program, we understand that getting a foundational education is just the beginning, which is why we are also an authorized NATE testing center and offer all of the EPA 608 Certifications for refrigerant handling. When you study with us, you’ll have extensive hands-on experience through training and the opportunity to obtain the aforementioned certifications during the period of your studies. So when you finish your degree in HVAC/Refrigeration, you’ll be better prepared for the workforce with the confidence earned from real hands-on experience and backed certifications at your disposal. To learn more, contact us today at 800-468-1093 or view a more comprehensive break-down of ATI’s HVAC Technology with Service Management (AOS) degree program. Previous PostWhat Does the Future Look Like for Commercial Truck Drivers? Next PostWhat’s the Difference Between a Turbocharger and a Supercharger?